At the beginning of 1865 Union and Confederate troops were still facing each other across the no-mans-land outside the City of Petersburg, Virginia. Seven months of siege warfare had gained the Union little else except additions to the casualty lists. Despite this Lt. Gen. Ulysses S. Grant continued his envelopment of the beleaguered City. As the soldiers began to prepare for the inevitable spring offensives a feeling in the air told many that the end of the war was drawing near. Union armies were campaigning all across the south and Confederate forces were on the retreat. In the eastern theater of the war Robert E. Lee and the Army of Northern Virginia were suffering from the bloody mathematics of a war of attrition. Grant’s Union armies were steadily surrounding what was left of the Confederacy – squeezing the noose ever tighter. The Confederates would attempt one more offensive at Petersburg designed to keep the Federals off-balance long enough to allow them to escape. 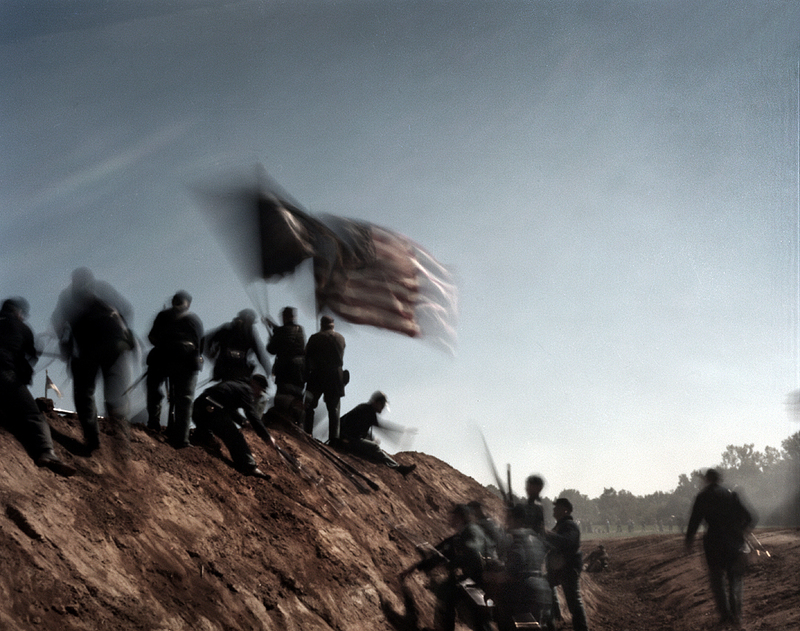 The Battle of Fort Stedman would be General Lee’s last offensive in the Civil War and would precipitate the Five Forks Campaign – and the Union Breakthrough at Petersburg.